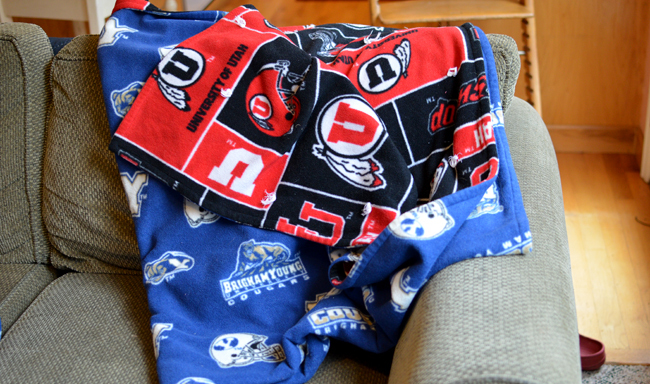 ' BYU Quilts and Printable - Sisters, What! 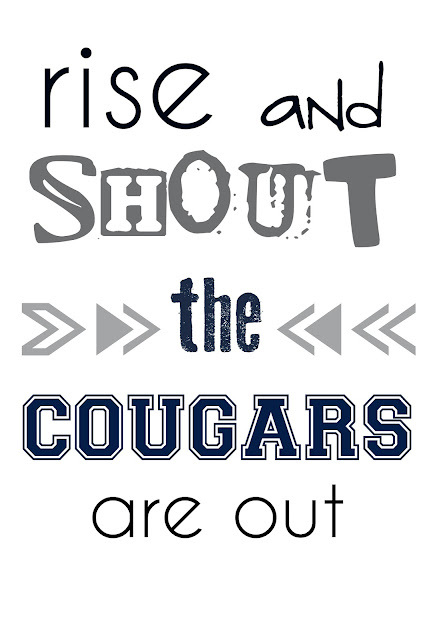 I am your typical girl/wife who can care less about football season. However, even though I don't watch any of the games, I will still cheer for my alma mater and watch highlights from the game. 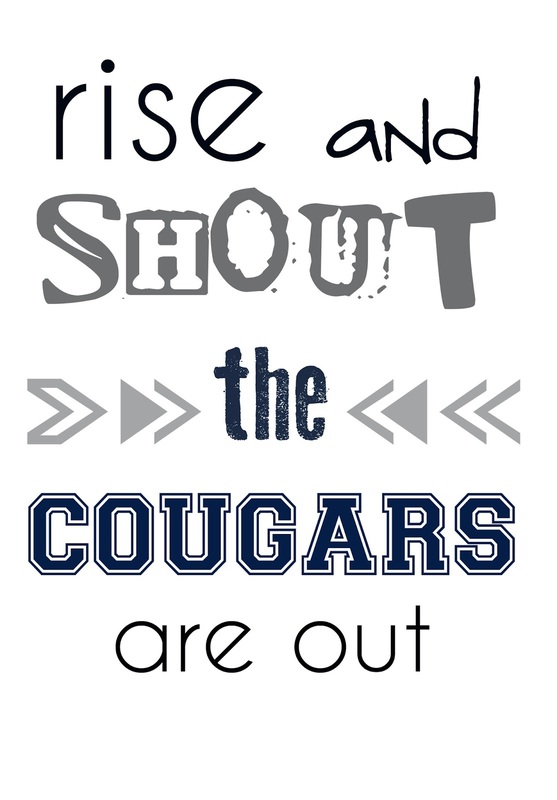 This Saturday is the big rivalry game between BYU and U of U so I thought I'd give a shout out for the Y with a free printable for all those fellow Cougar fans. 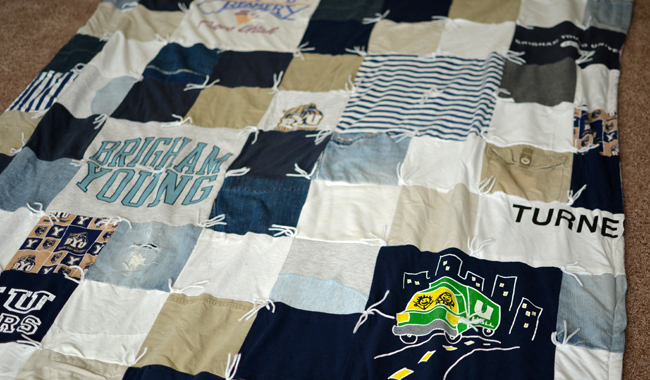 After I graduated, I made a BYU jean quilt made up of an accumulation of both the hubby's and mine worn out old BYU shirts. In between the shirts I used old jeans and pants. 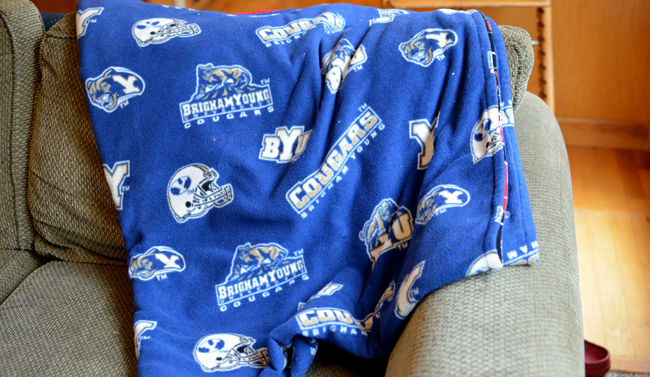 For the back of the blanket, I used some BYU fleece bought at Joann fabrics in Provo. It's seriously such a comfy and warm blanket. ...meaning my dad went to the U and my mom the Y. This blanket was the best gift for them. 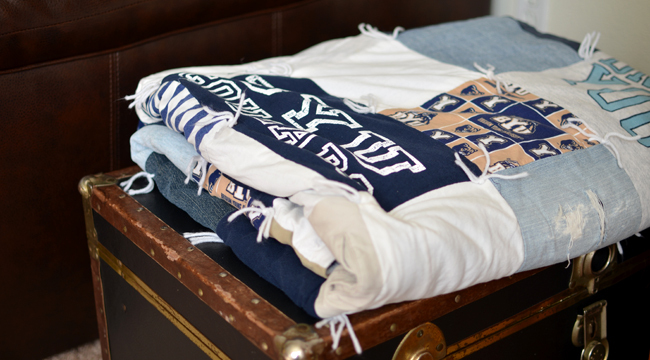 However, I have noticed that my mom tends to keep it folded so that the Y side is always on the outside : ). My dad's a good sport. 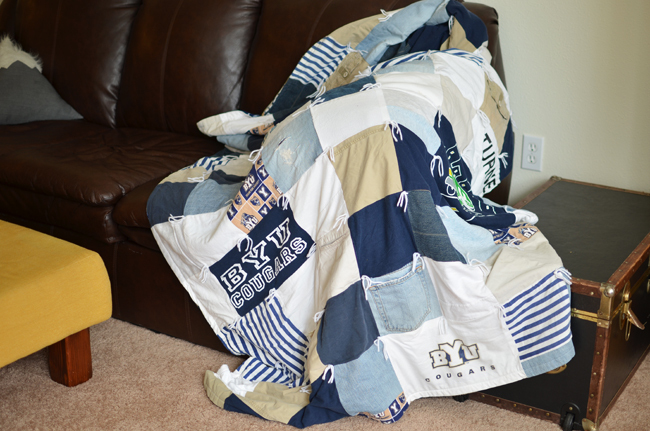 And here are some beautiful pictures of my sister enjoying her very own 'Y' blanket. If only all of us can look as stunning with a messy bun and t-shirt on while using a computer. 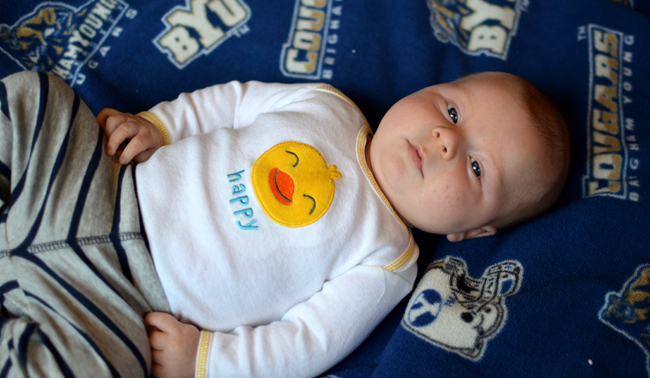 Here's our sweet little one enjoying it and soaking up all the goodness : ). Havalah! 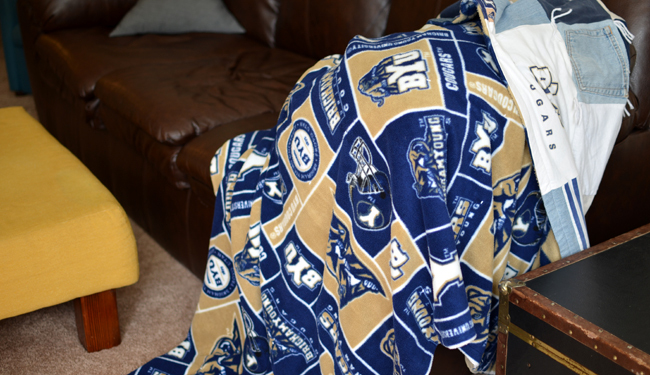 How have I never seen this blanket? Amazing!! Love it! So want to make one now for my house!